You'll be £13.50 closer to your next £10.00 credit when you purchase The Super Organic Gardener. What's this? If you care about what you eat, you should care about how you grow it. Gardeners can demonstrate that by going beyond organics to veganics - growing without animal inputs - they are a driving force in saving the environment. This book gives you the tools to grow without harming the planet and animals, and explains why moving beyond organics towards super organic vegan gardening is the way to show you are genuinely concerned about environmental issues and the industrial commodification of living, sentient creatures. From advice about how to make and buy natural fertilisers and compost, to putting nutritional values on what you grow, and to how to cook it, and how to share your plot with wildlife, this book covers all the bases. The foreword is by RHS Chelsea Flower Show best in show winner Cleve West, who is a passionate vegan gardener. Vegan Organic Network and Garden Organic have backed the book too. Feature: Why vegan gardeners are ditching bird feeders in favour of slug-friendly vegetable patches fertilised with 'humanure.' Matthew Appleby lays out his vision of vegan gardening in a controversial book. As heard on the You and Yours programme. Set your cursor to 21:32 here to listen to the author's interview. As heard on the Today programme. I have enjoyed dipping into this self-help book over the winter as I plan my next years' vegetable garden. The guides and tips for creating a bounteous harvest without the use of old style fertilizers or more modern chemical additives were excellent and I'm all fired up to get out there and till - just as soon as it warms up! For years my main additive has been cotton-seed mulch - I live in a highly alkaline area - and that will not change, because I need the acidic component to counteract the gypsum natural to my area, but I will make more compost as instructed here, and rotate my rows more than I have in the past. Thank you! Gardeners are some of the most practical people I've met. I feared this book would be, frankly, full of 'woo'. It's not. The author makes a compelling argument for both plant based diets and for moving away from the use of animal based products. I will be implementing some practical methods from the book in my own garden. A very interesting book and I definitely recommend it to anyone who is interested in gardening. Gah! I was curious about the book when I saw "vegan" on the cover. Vegan? Aren't all vegetables vegan? I had to read it. I haven't used cow manure in decades, just veggie scraps, in my own garden. No particular reason why, just haven't of late. After reading the chapter on animal waste in the garden, I am plenty sure I won't be putting any into my tiny suburban plot! Yuck! Who knew??? Must read for gardeners. How better to know exactly what you're eating than by growing it yourself? This book covers what you need to know to garden in a more gentle way. In addition to information on the fruits and vegetables you can grow, the author discusses how to encourage the wildlife in your area. Lots of great tips for gardening without using animal products like bone meal. Perfect for anyone wanting to grow their own food without supporting factory farming. Interesting book which is using the concept of vegan for gardening. The book gives great insights about nutrition facts of the various vegetables and fruits you can get from your garden. Matthew Appleby is an award-winning garden journalist. 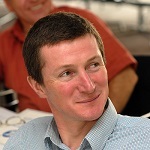 He was first to report on ash dieback reaching the UK and has broken numerous stories on biosecurity and on horticulture policy in the last 15 years, as well as consumer issues and trends. He writes for Horticulture Week, the 175-year old industry bible, The Telegraph, Guardian, Evening Standard, Mail, Amateur Gardening, New Zealand Press Association and regional and consumer gardening magazines among others. His previous books include three on cricket and two on gardening: Allotment Planner (2013) and the Children\'s Garden (2016). 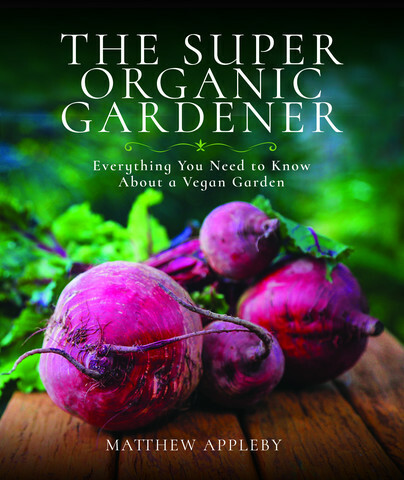 With this book, he wants to fill the space between the much written about organic gardening and vegan cookery areas, and link in stock-free gardening and wildlife to growing your own.